Actress Anne Bobby is perhaps best known to horror fans for her role as Lori Winston in Clive Barker's 1990 film, Nightbreed. However, this prolific and versatile actress has appeared in many other films, including Oliver Stone's Academy Award Winning Born on the Fourth of July, and Todd Solondz's critically acclaimed dark comedy Happiness. This year she returns to the horror genre after a 23 year break. Bobby will be portraying Martha Hobson in the upcoming ghost story The Hanover House directed by Corey Norman who brought us the chilling and effective short horror film The Barn. The Hanover House is set for an October 31st, 2013 release date and tells the story of a man who seeks help at an isolated farmhouse after hitting a young girl with his car. The house, however, has other plans for him. The film was shot at an actual haunted house in the mountains of Maine and promises to deliver the chills to fans of the genre. Fortunately, Anne Bobby was gracious enough to chat with us about this upcoming film. Read below and enjoy our conversation with this extremely talented actress. Thank you so much for taking the time to chat with us. For horror fans who may be unfamiliar with you, can you tell us a little bit about yourself? I'm an actress, voice artist, playwright and author, a longtime resident of Brooklyn, NY. I started acting at 13, and went on to study Anthropology and Classics at NYU (which makes sense if you think about it, and have a couple of drinks). With dozens and dozens of film (Born On The Fourth Of July, Beautiful Girls, Happiness, etc), Television (Mad About You, Law And Order, Children of The Bride) and Theater (On and Off-Broadway) credits to my name, your readers may actually recognize me more as the voice of Brigid Tenenbaum from 'Bioshock'. I LOVE my voice overs! I'm a longtime animal rescuer (currently living with two cats) and a volunteer with a Hurricane Sandy Relief Kitchen. I also make possibly the best lasagna you've ever had. 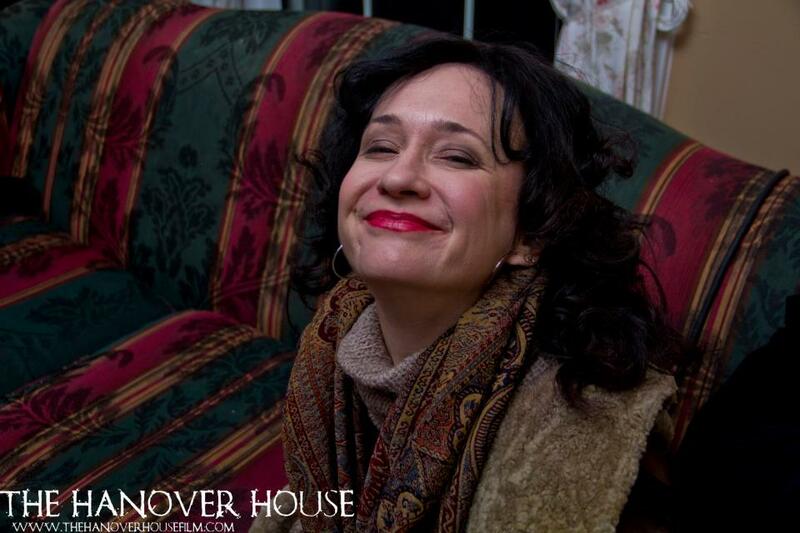 How did you become involved in The Hanover House? What was it about the film that made you want to be involved? FACEBOOK! The script came to me from Daniel Noel, who plays my husband - he and I worked together WAY back in 1984 in a musical at the Public Theater in NYC! We re-connected on FBook, and he messaged me about this great script. I told him to send it - and was TOTALLY pulled in. 'Horror' has so many origins. For me, it's psychological horror - the horror of the heart and mind - that makes for the most riveting storytelling. Hanover House had that in spades - I wanted do be a part of it immediately. Can you tell us a little bit about your character in The Hanover House? How did you prepare for the role? Ever read 'Hamlet'? She's Gertrude times ten! 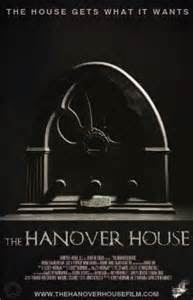 I read that The Hanover House was filmed in a real haunted house. Did you experience anything "unexplainable?" I did. I was one of the first people in the house when we were arriving at the location. While everyone was unloading the cars, I walked into the OLDER part of the house. I'm fairly sensitive to ghosts (That's a whole other interview! ), and was pretty open as I made my way. All the energy seemed fine - even happy, in one stairwell -- and then I got to this second staircase... and I can only say, the darkness got darker, the air got colder, and I TURNED AROUND and went BACK to everyone else. Never went further until we were all assembled and given a tour; THAT was when (of Course!) the person who lived there stopped at the stair and told about how 'hot' that spot was - ghosts were seen there, pictures fell off walls. I was SO not surprised. What was the atmosphere like on the set? Any interesting stories you can share? Corey and Haley are a fantastic team, and the crew they put together really were like a family - they've known each other a long time, and made me feel like part of the gang straight out of the gate. I only wish we had more than a few days together - next time! It was also Sweet-Jesus-Great-Googa-Mooga COLD. I used to fantasize about living in Maine. I can scratch that off my Bucket List! Your last horror film was over 20 years ago---Clive Barker's Nightbreed. Would you say you are a fan of the genre? If so, what are some of your favorite horror films? I know every Twilight Zone almost by heart; let me state that up front. I ADORE Horror, but very specific horror; as I said before, horror born of pain, memory. HAUNTED horror - that's for me, and in a MASSIVE way. The most terrifying film I ever saw was a 1989 TV adaptation of Charlotte Perkins Gillman's "The Yellow Wallpaper". Alastair Cooke was right; it will 'Freeze your blood'. Seriously. Find in on YouTube. Why should horror fans see The Hanover House? It's a modern Gothic, a story that will haunt anyone who sees it, with themes that spin off the screen and into so many lives - and it is SO BEAUTIFUL. Even in it's tragedy - and after all, can't horror be beautiful, too? What's next for you? Any upcoming projects? I'll be shooting the finale of season two's 'In Fear Of' this summer - an AWESOME web series. Before that I'll be chained to my desk, adapting an early manuscript (An ecclesiastical thriller) into a miniseries, and revising my second play. Just that you made my morning - great questions - thanks! Great interview! Can't wait to see that movie!